A properly working washing machine is a wondrous thing, literally taking care of the dirty work when it comes to cleaning your clothes. But when it malfunctions in any way, well, it can feel like a dark day. 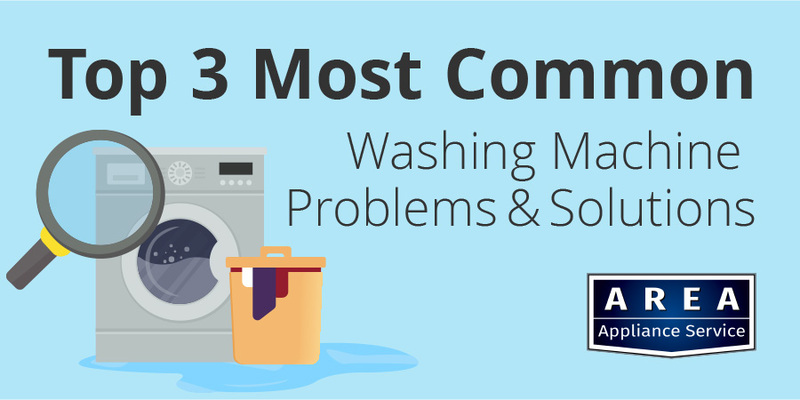 Fortunately, we can help, by sharing some of the most common washing machine problems and solutions with you. A drainage problem is pretty easy to spot, as evidence of it will typically be all over your floor! One potential culprit is the drain pump. Several scenarios can cause an issue with this important component. One is a drain pump that has locked up and seized. This situation can lead to major problems down the road if left unaddressed. Despite the seizure, the motor will continue trying to turn the pump, causing the belt to either break or burn through if the pump is belt-driven. Worst of all, the motor could seize if there is tension on the belt while the motor runs. Diagnosing and fixing this problem is best left to a professional washing machine repairman, as it is a complex job and there are many different parts to consider. While washing machines can experience a bit of movement during the spin cycle, a significant amount of shaking may be a sign that something is wrong. The reason could be as simple as a floor that is not level or improperly positioned washer feet. Making the unit level is a relatively easy fix you can make using a piece of ¾” plywood. As for the feet, they are designed with a leveling mechanism secured by a lock nut. Adjust the legs to the proper height and tighten the lock to prevent them from moving. Not all fixes for shaking are do-it-yourself tasks. Top-loading washing machines are designed with a snubber ring to decrease vibrations during the spin cycle. If the snubber ring wears down far enough, the metal base may come into contact with the tub support, causing intense vibrations and shaking. Replacing the snubber ring involves disconnecting the tub springs, which are under tension. This is one of the common washing machine problems that should only be solved by a professional with the correct equipment to do the job safely and successfully. A machine that no longer spins or does not spin correctly is the opposite of a washing machine that spins violently, but it is a problem regardless. The issue could originate from the belt or the motor. A broken belt can be an indication that the associated pulley has seized. In this case, you need a repair technician to examine the unit and replace both components. Otherwise, if you replace the belt but leave the broken pulley in place, you could end up with the same problem on your hands later. When it comes to the motor, several different issues could be to blame. The coupler that connects the motor to the transmission may need to be replaced, the splines connecting the drive shaft to the agitator may be stripped or you may need to replace the reversing motor that controls the basket. All of these repairs are risky if handled by a novice. Some are more complex jobs that require further inspection, the correct tools, and training. The Area Appliance Service team can expertly service major brands such as LG, GE, Samsung, Maytag, Kenmore and Whirlpool. We have been a family owned and locally operated company since 1958. Throughout the years we have won the trust of residents in Buffalo Grove, Arlington Heights and surrounding areas. Our repair technicians are committed to excellence and will treat your appliances as if they were their own. To that end, we show up for appointments on time and we strive to deliver exemplary customer service in every situation. This includes being transparent about the mechanical issue and the cost – upfront before we ever touch your appliances. We also offer emergency service 24 hours a day, seven days a week. 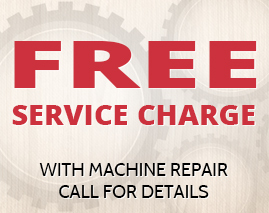 Give us a call today at 847-459-8070 to experience the Area Appliance Service difference!